My younger daughter found this on a tear pad at Target yesterday and insisted we needed to make it. Of course, it calls for a limited winter type of morsels, dark chocolate and mint, which they didn’t have. But, they did have the Andes Creme de Menthe baking chips, which, from licking the mixer blade and the scraper, seems to be an excellent substitution so far. Just means there will be no pretty green drizzle on top. I’m fine with that, one less step for me! Note: Mine will look a LOT messier than theirs, but I don’t think it will matter if it tastes good! I also used just a graham cracker crust instead of a chocolate crumb crust, since there will be plenty of chocolate going on anyway. It was very, very rich, and very, very, good! I am surprised that I haven’t ever posted this recipe! Most likely because I haven’t made it in a while. 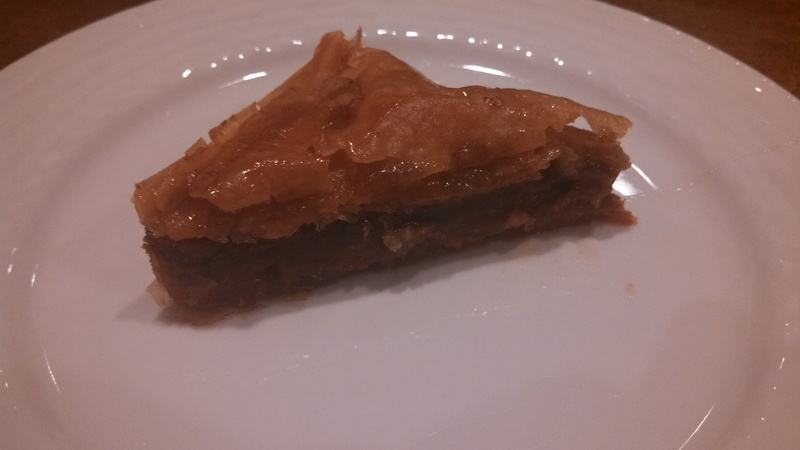 I really enjoy baklava, but like Spanakopita and Tiropita, it’s somewhat time-consuming to make having to butter all the phyllo dough. In the end, though, all the work is so worth it! For New Year’s Day, my sister and I decided we wanted a Greek feast for dinner, and we spent 3 hours prepping tiropita, pastitsio, and dolmathes. We had a roll of phyllo dough left, so we decided to make a dessert to take to my brother and sister-in-law’s house for dinner tonight. I thought of baklava, but the nuts are pretty expensive to get already chopped. So, then I thought about the Biscoff Cookie Truffles my sister had made last week, which were absolutely amazing, and thought that the Biscoff cookies and Biscoff spread would make a great filling instead of the traditional nut filling. Turns out that I’m not the only to have the idea of Biscoff Baklava, but we made a few changes because I was worried that version would be way to sweet and over seasoned. The Biscoff cookies and spread are already so flavorful on their own, they don’t need anything else, as evidenced by the truffles we’d just made. It turned out amazing, and I will share how we made it and include the traditional baklava filling and the Biscoff filling. Combine the ingredients for the filling. Brush bottom and sides of 13″ X 9″ pan with melted butter. Lay phyllo dough in bottom of pan, generously brushing with butter. Repeat this process, brushing each sheet of dough with butter, using half the dough in your roll. Pour filling over phyllo dough and spread evenly. Continue again with layers of phyllo dough, brushing each sheet of dough with butter, until you have used the remaining dough. Place Biscoff cookies in a large zipper bag and crush into fine pieces using a rolling pin. In a small saucepan, heat Biscoff spread and cream cheese over low heat. Stir continuously until mixed together and easier to spread. Brush bottom and sides of 13″ X 9″ pan with melted butter. Lay phyllo dough in bottom of pan, generously brushing with butter. Repeat this process, brushing each sheet of dough with butter, using half the dough in your roll. Carefully spread the Biscoff spread and cream cheese mixture over the phyllo dough. Next, evenly pour the crushed Biscoff cookies over the spread. Continue again with layers of phyllo dough, brushing each sheet of dough with butter, until you have used the remaining dough. Score through top layers of the pastry with a sharp knife. Pour remaining butter over. Bake for 40 minutes on the bottom oven rack or until pastry is golden brown. Remove to a cooling rack and cool for 5 minutes. I forgot to get a picture before we started serving it, but this gives you an idea of one way to make the cuts. Combine all syrup ingredients in saucepan and bring to a boil, stirring occasionally to dissolve sugar. Reduce heat and simmer 20-25 minutes or until it reaches 225 F on a candy thermometer. Remove cinnamon stick and allow to cool. I used refrigerated pie dough. I just unrolled and placed the dough in the pie pan, and didn’t have leftover scraps, so skipped making the leaves. I also omitted the 2 egg yolks and heavy cream used to glaze the leaves. I did not have dark corn syrup, so I used light corn syrup instead. They can pretty much be used interchangeably, it’s just that the dark can sometimes enhance the flavor. I think it turned out great with the light. For more on light versus dark corn syrup, you can read more here. I did not have maple syrup, but I did have apple butter syrup that I had gotten at Apple Annie’s, a local apple orchard. This syrup is very delicious, we’ve used it on pancakes and waffles. Plus, the flavors of apple and pecan go together well, so I figured it would work. It definitely did! The apple flavor is somewhat subtle, but the addition of a syrup greatly enhanced the flavor of this pie. My husband and I loved this pie. Getting all the pecans out of the shells was not real fun, but both my kids helped a little, so that made it not so bad. I was able to keep some nice to lay out on top, then the broken ones when inside the pie. 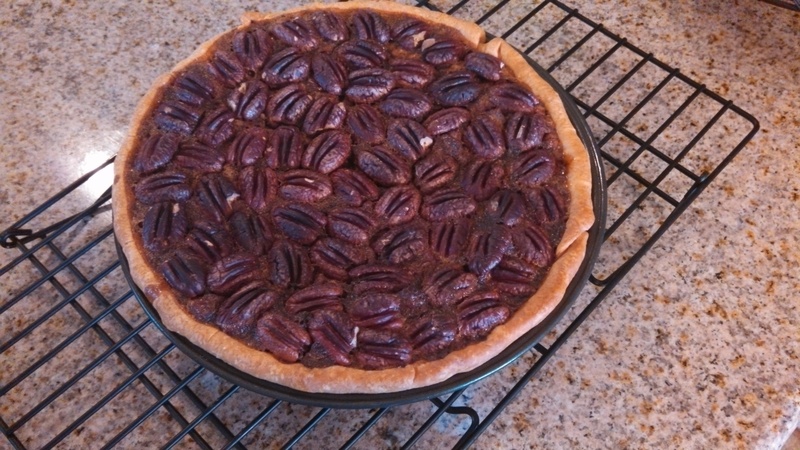 It was maybe cooked a little too long since some pecans on top got a little over-browned. But, they weren’t burnt, so they were still edible. The inside of the pie was perfect. 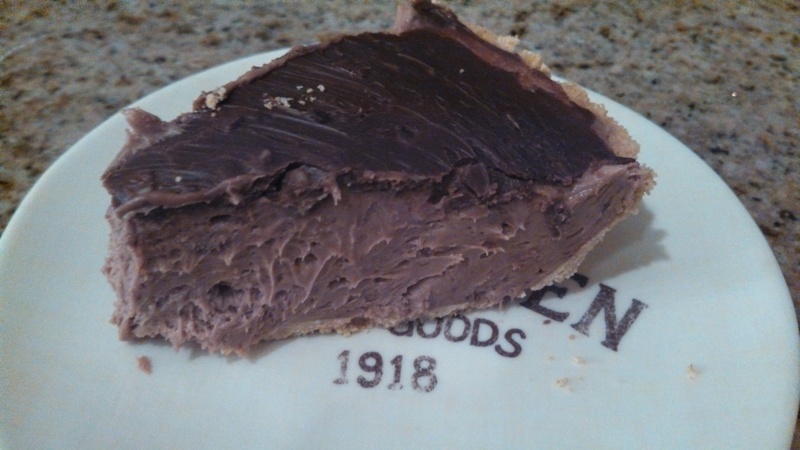 I would definitely make this pie again, just probably not soon because I ate so much of it! 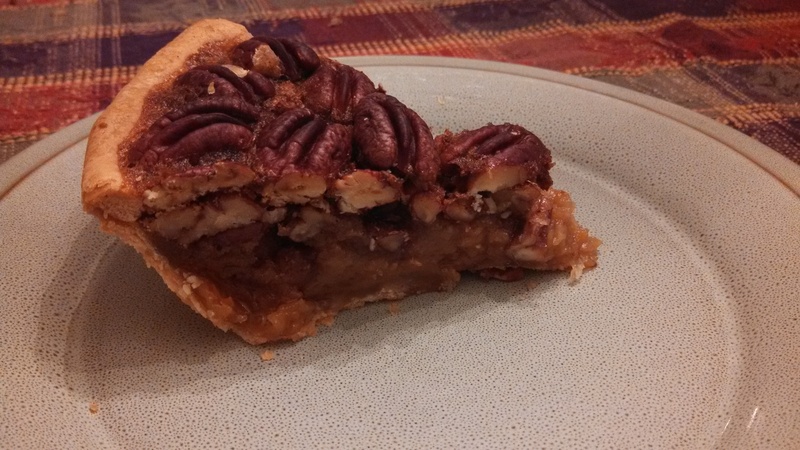 Also, I would use pecans already out of shell….or there might not be any bourbon left when it’s time to put the pie ingredients all together! It has been a LONG time since I have had rhubarb and I’ve certainly never baked with it. However, when it came up on the Web Store at Sunizona Family Farms, I knew I needed to get it. Just raw, this rhubarb was so good and tart. But, I wanted to make my ever favorite crisp with it, and since I had gotten strawberries from Bountiful Baskets, I knew they would be a good match. Now, I did put a bit of sugar in this, so if you want to keep more of the tart flavor of the rhubarb, just decrease the amount of sugar. I had this warm over some vanilla frozen yogurt and was in heaven last night eating it. 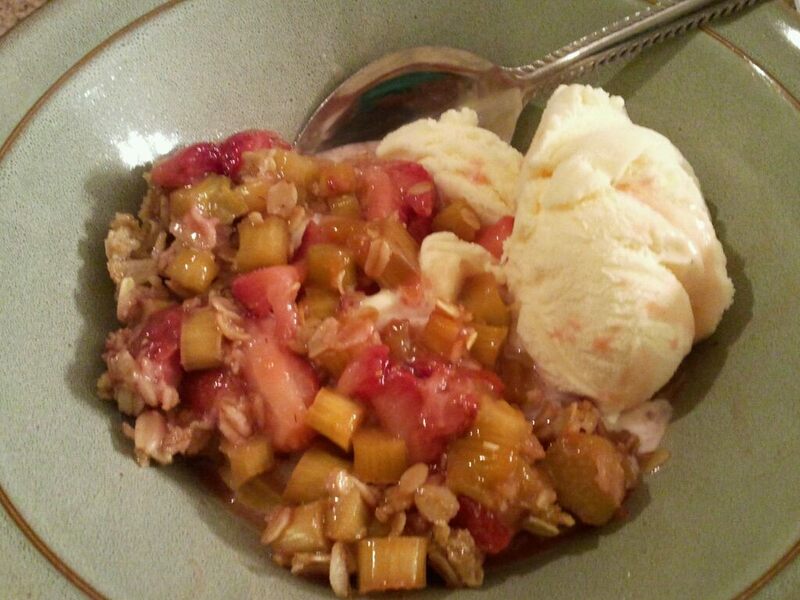 I wish rhubarb was more available here in AZ to have this more often! 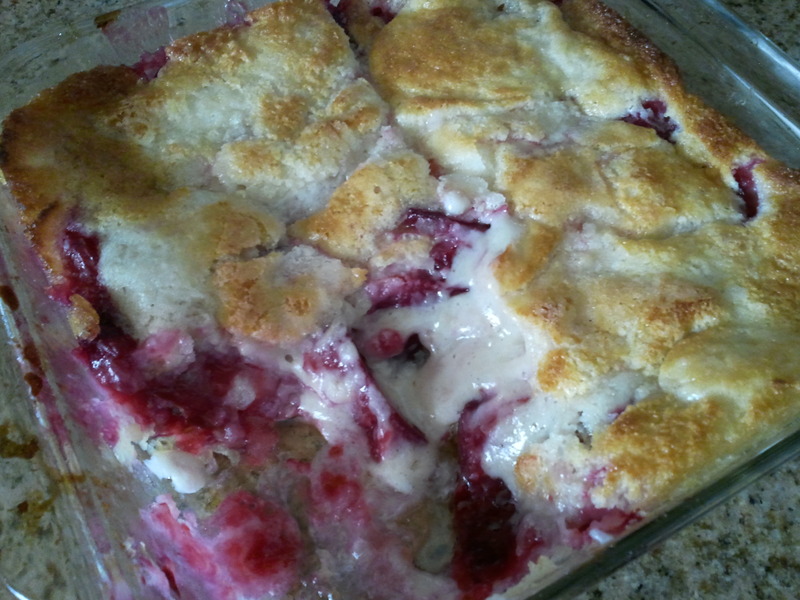 In a 8×8 baking dish, mix together rhubarb, strawberries, cornstarch, and sugar. In a bowl, crumble together butter, oats, and brown sugar. Spread oat mixture evenly over the top of the rhubarb and strawberry mixture. Bake in the preheated oven for 25-30 minutes, or until filling is bubbly and topping is browned. Let sit for 5 minutes; serve warm. I had a bunch of plums from Bountiful Baskets this past weekend that were getting a little overripe. I debated between using them in a crisp, like my favorite Apple Crisp, or trying something more like a cobbler. 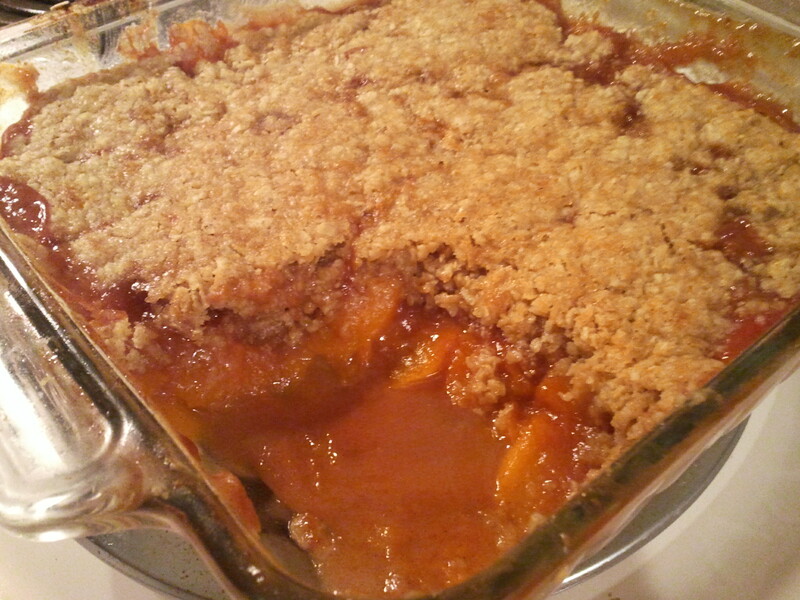 I decided on trying out cobbler, just to have something new. This actually turned out pretty good! I think I maybe could have cooked it about 5 minutes longer to bake up the cobbler part more, but it still tastes good as it is. And, really pretty easy to make. 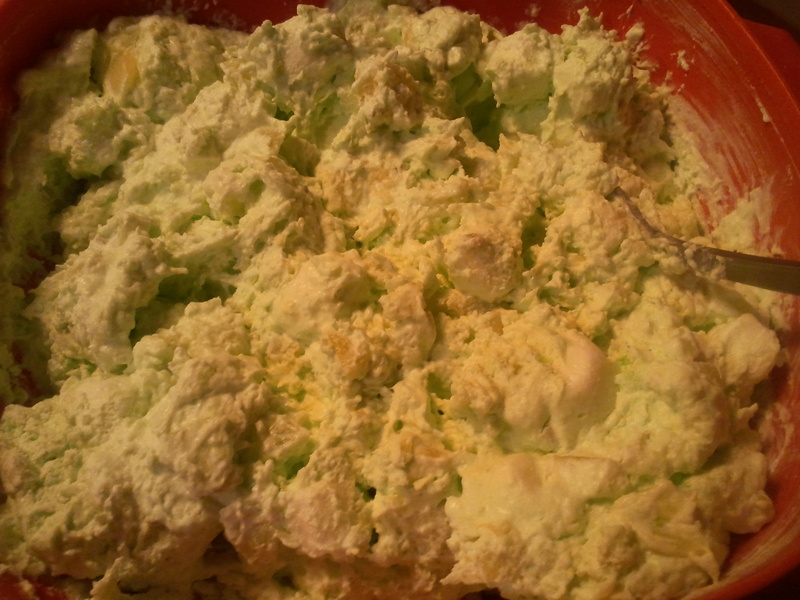 Put butter in a 2 qt (8×8) baking dish. Place dish in oven until butter melts. Remove dish from oven. In a bowl, mix together 1 cup sugar, flour, baking powder, and salt. Pour in milk and stir well. Pour batter mixture over the melted butter in the baking dish. Spoon chopped plums over the batter in the baking dish. Sprinkle with the remaining 1/4 cup sugar. Bake in the preheated oven for 30-40 minutes, or until cobbler is browned and bubbling. My kids loved these! Aside from seeing a little zucchini on the top, you can’t even tell it’s in there. Frosting would easily hide that, but I just didn’t have the time for frosting yesterday. And, these don’t really need frosting, they are very good on their own. This recipe doesn’t use eggs, and trust me, you don’t need them. They bake up well without and are very moist. Even if you aren’t a fan of zucchini, these are worth a try! Preheat oven to 350 F. Grease and flour a 9×13 baking pan. In a large bowl, beat together the oil, sugar and vanilla until well blended. In a separate bowl, combine the flour, cocoa, baking soda and salt. Slowly stir the flour mixture into the oil and sugar mixture. Fold in the zucchini and walnuts. Spread evenly into the prepared pan. Bake in the preheated oven for 25-30 minutes, or until brownies spring back when touched gently. 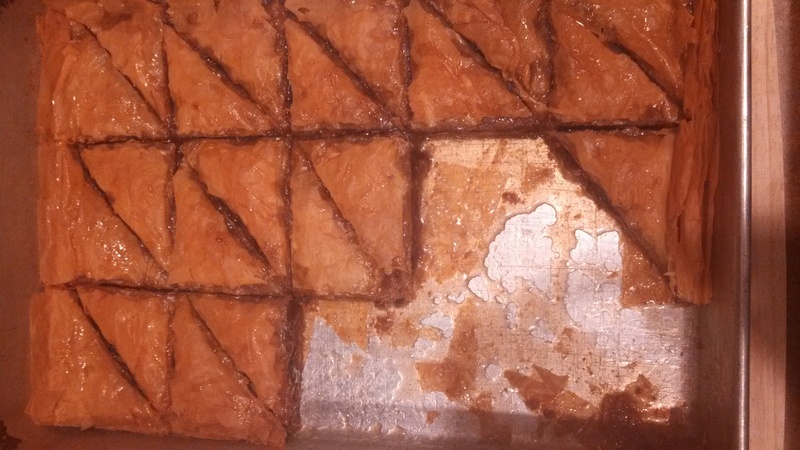 Allow to cool, then cut into squares. Melt together the 6 tablespoons of cocoa and margarine; set aside to cool. In a medium bowl, blend together the confectioners’ sugar, milk and vanilla. Stir in the cocoa mixture. 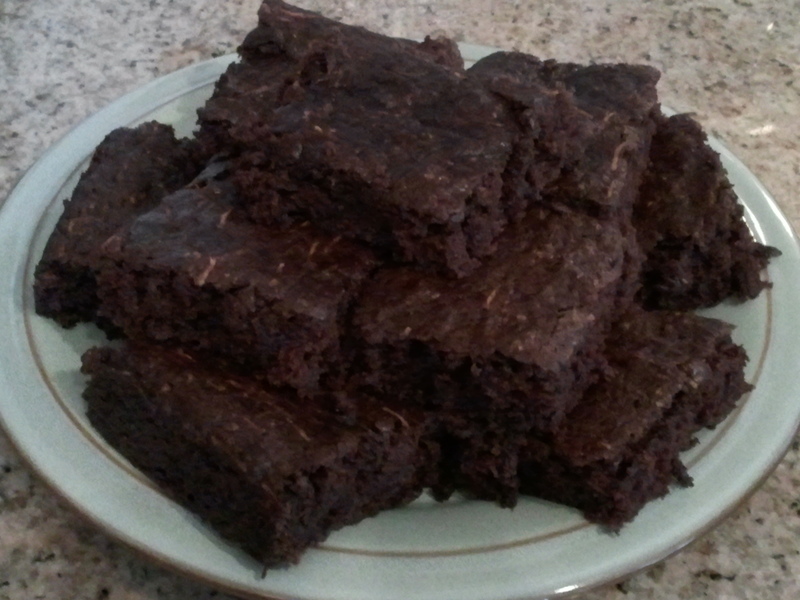 Spread over cooled brownies before cutting into squares. I still have some carrots from the 25 lb bag I got a while back from Bountiful Baskets. They have been in my fridge keeping nicely. I’ve been meaning to make this cake for a while, but finally got the chance today. 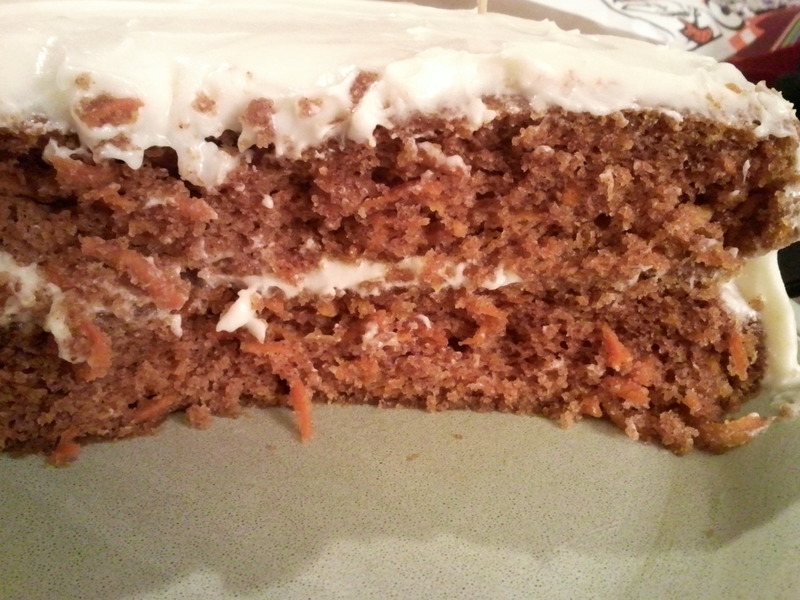 Carrot cake is a favorite in our house, but I’ve never actually made it. My cousin gave me a recipe that she had gotten from lady that used to work in the cafeteria at the old Sear’s department store on the riverfront in Peoria, Illinois. This really turned out great, I was very pleased. Cream together the sugar and eggs. Add oil, carrots, and nuts (if using). In a separate bowl, mix together the remaining dry ingredients. Slowly add to the carrot mixture and stir well. Pour into 2 greased 9 inch round cake pans. Bake in the preheated oven for 25 to 30 minutes. Cool on wire racks. Cream the butter and cream cheese until smooth. Blend in powdered sugar to the level of sweetness you desire, then blend in the flavoring. Makes enough frosting to have 2 separate 9 inch cakes or for a 2 layer cake. 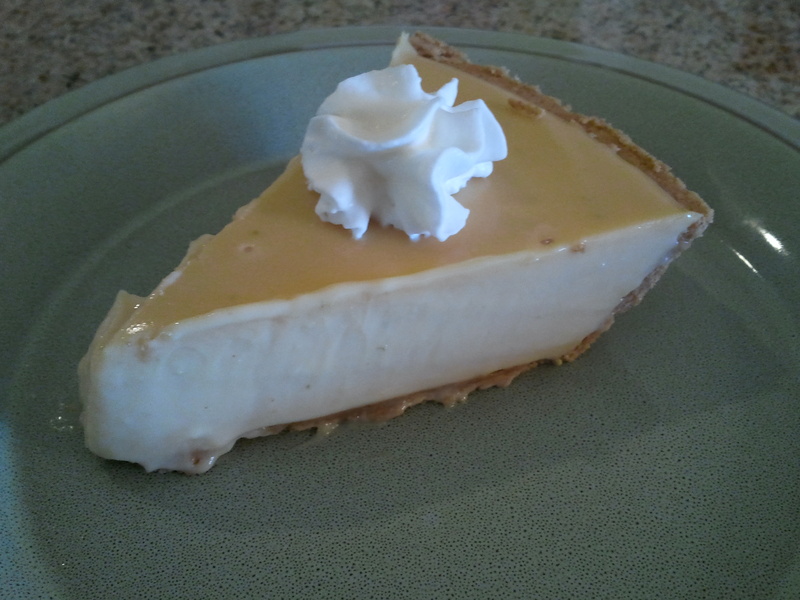 I love, love, love, Key Lime Pie. It has been so long since I’ve had it, so when I got key limes this week from Bountiful Baskets, I decided the pie is what I wanted to make. I found this great recipe that is super easy to make. I think the hardest part was juicing all the little limes. Well, that and waiting for it to chill so I could eat it! In the reviews for this recipe, someone suggested using a garlic press to juice the limes. I thought this was brilliant because I don’t have a tool yet to juice my lemons and limes. I cut each lime into fourths, then squeezed each piece. 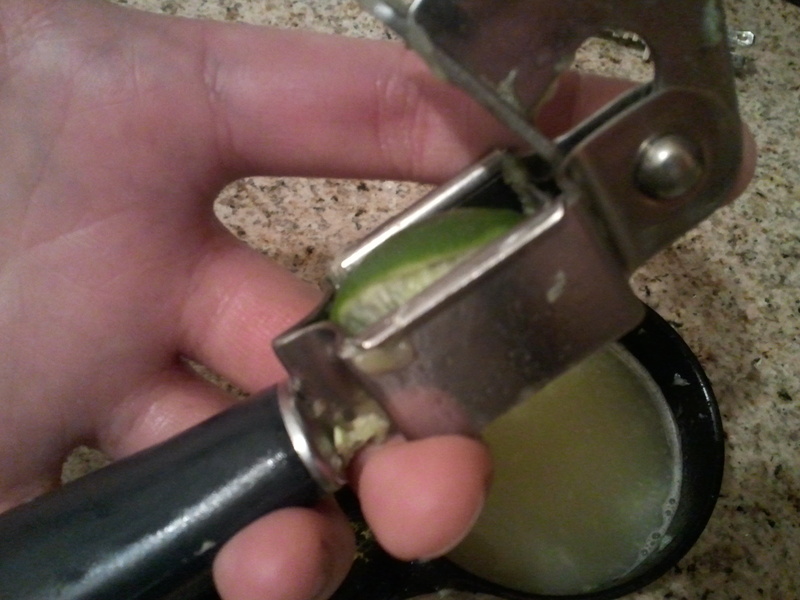 It was still time-consuming, but I was able to get quite a bit of juice out of each lime, more than I would have hand squeezing. In a medium bowl, combine all the ingredients. Mix well and pour into graham cracker crust. This side was part of the Christmas feast my mom cooked for us this year. It’s a favorite of my brother-in-law, and is now a favorite of my older daughter as well. It’s a lot easier than I thought it was to make too!